That's right! The "Flame-Haired Burning-Eyed Hunter" is back with some more action to keep us occupied at the end. 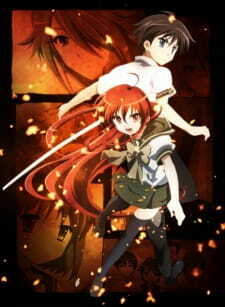 Defeating those Denizens have never been so easier (or harder) since Sakai Yuji is now training with Shana to become stronger. WARNING: CONTAILS SPOILERS, PLEASE WATCH THE PREQUEL TO CONTINUE. Skype has released a minor update to its client on the Linux platform. The hotfix patches a ‘serious vulnerability’ with the ‘libpng library’ present in the static package of the VoIP client. The issue does not affect any other versions of Skype 2.2 for Linux (i.e. the version available in the Ubuntu Software Center). What is the static package of Skype? It ‘contains executables not linked against any dynamic libraries’, said to be useful ‘when you don’t want to handle dependencies issues.’ Despite this it does, however, still require a number of dependencies to be installed locally in-order to run. This update bumps Skype static to version 22.0.99, whilst the version in the Canonical Partner repository remains at 22.0.35 and is unaffected.